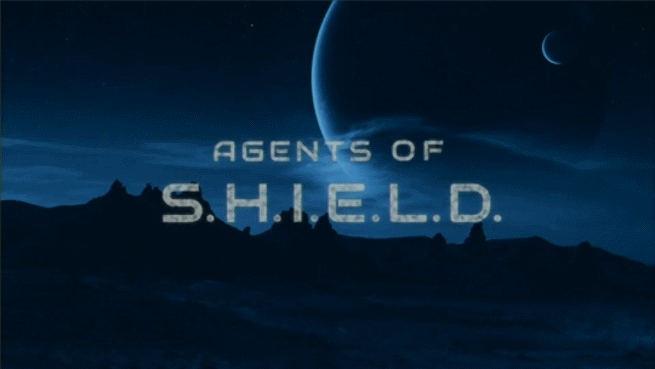 Who Is Hydra's Inhuman On Marvel's Agents Of S.H.I.E.L.D.? In the episode “4,722 Hours,” Marvel's Agents of S.H.I.E.L.D. introduced perhaps the greatest threat the show’s heroes have faced so far. At the time, we and the characters new little about the creature besides that it seemed to be a powerful specter of death. The episode “Many Heads, One Tale” brought some new information. According to Gideon Malick, the creature is a powerful Inhuman who was destined to rule the Earth, until he was banished from it through the Monolith’s portal. Since then, Hydra was formed with the sole purpose of returning the Inhuman to Earth, and has been working towards that goal for generations. So who is this powerful Inhuman? We can’t say for sure, and Marvel's Agents of S.H.I.E.L.D. hasn’t been shy about creating new characters to use in its stories, but there are a couple of characters from the Marvel Comics universe that we think could fit the role. If Hydra's Inhuman is a character adapted from the comics, our odds on bet is that its the Unspoken. The Unspoken was the ruler of the Inhumans before Black Bolt. The Inhuman king was both respected and feared, and had an unusual kinship with the Alpha Primitive race of Inhuman slaves. The Unspoken chose to hide the Inhumans’ greatest weapon, the Slave Engine, so that it could never corrupt his people with the promise of power. Black Bolt and the other members of the modern Royal Family, just a week after they underwent Terrigenesis, rebelled against the Unspoken, banishing him from Attilan and striking his true name from Inhuman history and culture, leaving only the bogeyman known as the Unspoken. The Unspoken was later found by the Alpha Primitives, who took him to live underground. The Unspoken is Terrigenesis incarnate. Where most Inhumans risk disaster if they attempt Terrigenesis more than once, the Unspoken has undergone Terrigenesis many times, given him near limitless power. The Royal Family was only able to defeat him because he was weakened by his efforts to hide the Slave Engine. The Unspoken has several characteristics that could link him to the creature from Marvel's Agents of S.H.I.E.L.D. As we found out in “Many Heads, One Tale,” the creature on the alien planet was banished, just as the Unspoken was. Also, this Inhuman was meant to rule, just as the Unspoken was once a ruler. In the comics, when the Unspoken eventually returns, he plans to exact revenge by using the Slave Engine to turn the entirety of Earth's population into his own army of Alpha Primitives. This plot could be seen as the inspiration for Gideon Malick's plan to expose humans to Terrigen in order to breed an Inhuman army for the Inhuman's return. There’s also something to be said for the title, the Unspoken. If this powerful Inhuman was stricken from Inhuman history, that would explain why Lincoln and the other Inhumans we’ve met on the show so far are unaware of the monolith’s true purpose, and why the creature on the other side has often been referred to by different names, such as “death,” by Hydra. The dark horse contender is Thane, the Inhuman son of Thanos who only recently appeared in Marvel Comics. Thane’s story is that one of Thanos’ early conquests brought the Mad Titan and his armies to Earth, where he ran into one of the Inhuman tribes. When he departed, he left behind an Inhuman woman pregnant with his son. He later learned that he had a son somewhere in the universe, so he and his Black Order began searching and scouring planets to find him. They finally returned to Earth, kicking off the Infinity event. Thane was eventually found in Greenland, though he hadn’t yet undergone Terrigenesis. When Black Bolt set off the Terrigen Bomb, Thane was forced to undergoTerrigenesis. Disaster followed, as everyone around Thane was killed instantly. One of Thanos’ minions, Ebony Maw, supplied Thane with a suit to help control his considerable powers. Those powers are housed in Thane’s hands. The right hand can project an amber material that traps everyone around Thane in a state of living death. The left hand alters reality and rewrites the laws of existence but Thane cannot control these powers and they tend to kill everyone around him if he’s not in his suit. The left hand powers sound like they could be rewritten for TV to replicate the abilities of the Inhuman Hydra has been serving, and being the son of Thanos would certainly prop Thane up as an Inhuman meant to rule. We’re not sure Marvel would go this route because it may tie things in the Marvel Cinematic Universe together a little too closely. They’d have to address Thanos’ previous visit to Earth, and Hydra would have an unexpected connection to this cosmic threat, and that’s a lot of backstory to add on before Thanos has really had a chance to take center stage. 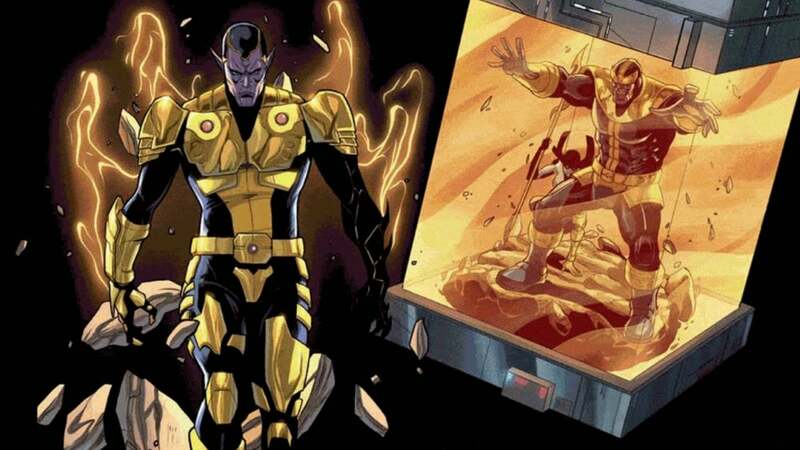 Maybe this is Marvel’s plan, and they see Thane as a prelude to Thanos, but he just doesn't fit as well with what we’ve seen of the Inhuman, and may end up overshadowing Thanos rather than warming the crowd up for him.